When reloading, only the "bold" line has the right face, the color is gone. your example works fine for me with Emacs version 26.1. I'll tell you what I did and try to follow along. 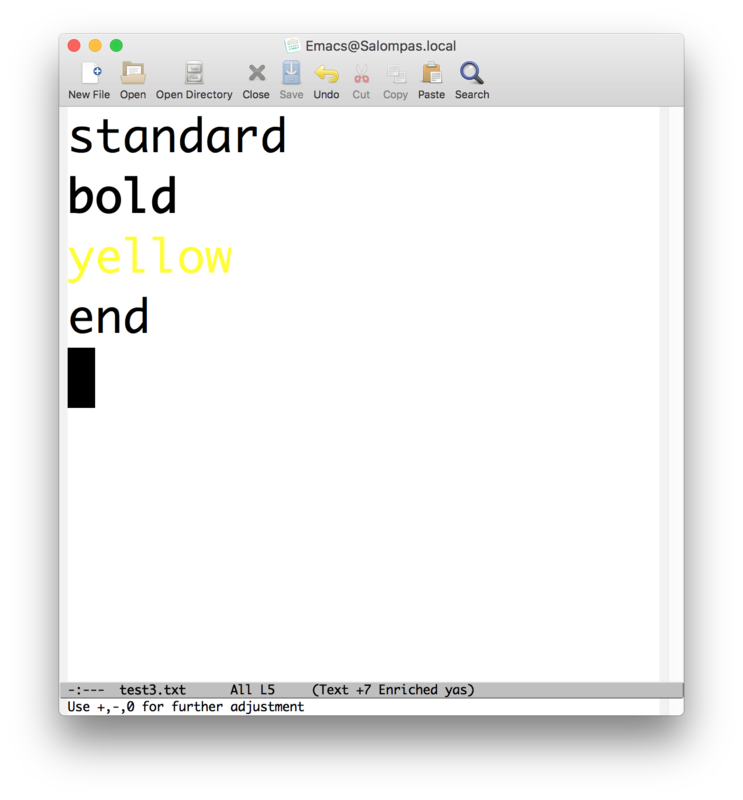 Now, I've noticed that depending on the theme the bold face may be hardly noticeable, and, if you are on a Mac, that it works better on some versions of Emacs than others (better in Macports version, for example). If it is not working for you, maybe try dropping your init.el file, if you have one, or try another Emacs version. Not the answer you're looking for? Browse other questions tagged faces enriched-mode or ask your own question. Underlining in org-mode links with multiline descriptions?